Alexis Mauri dit Alexkid est musicien multi-instrumentiste, compositeur, re-mixeur et ingénieur du son. Très vite, sa réputation d’artiste/producteur et sa connaissance des dance-floors lui vaut d’être sollicité comme DJ, ses sets faisant le bonheur des amateurs de Musique Électronique. Parallèlement à son projet solo, Alexkid a fondé – avec le guitariste Stéfane Goldman et le programmeur Ben Mosca- le groupe de dub électronique Dubphonic dont il co-réalise les albums « Smoke Signals » (2003) et « Relight » (2009). Remixeur , il a – entre autres – travaillé avec Hector Zazou (“The Long Voyage” avec John Cale et Suzanne Vega), Muriel Moreno, Nova Nova, Brooklyn Funk Essentials, Llorca, Fertile Ground, RobertMiles, George Michael et, via Dubphonic, Richard Dorfmeister (Suzuki In Dub/G-Stone). Compositeur il a collaboré avec Hector Zazou (Coupe du Monde 98), Ursula Rucker (album “Supa Sista”/StudioK7) ou le saxophoniste Jérôme Badini. Installé à Berlin depuis 2008 Alexid a fondé le label Wu-Dubs ainsi qu’une agence de booking et de management d’artistes électroniques. With 20-something years in the game, the former Parisian turned Berliner is lauded by peers and fans alike for his production technique, and infamous on the circuit for his extensive collection of – and near-obsessive relationship with – machines. Growing up in Pigalle, most kids his age were playing football as Alex spent his days examining the synth shops in his neighbourhood, twiddling away on every dial button he could get his hands on, buying and selling gear. A DJ/producer, multi-instrumentalist and sound engineer, Alexkid is credited as an early protagonist of 90s Parisian underground culture. Ignited by no less than three critically acclaimed albums on Laurent Garnier’s F Communications, and cemented by his Rex Club residency of four years, having been invited to the very same club where he has been clubbing for the past 25 years. 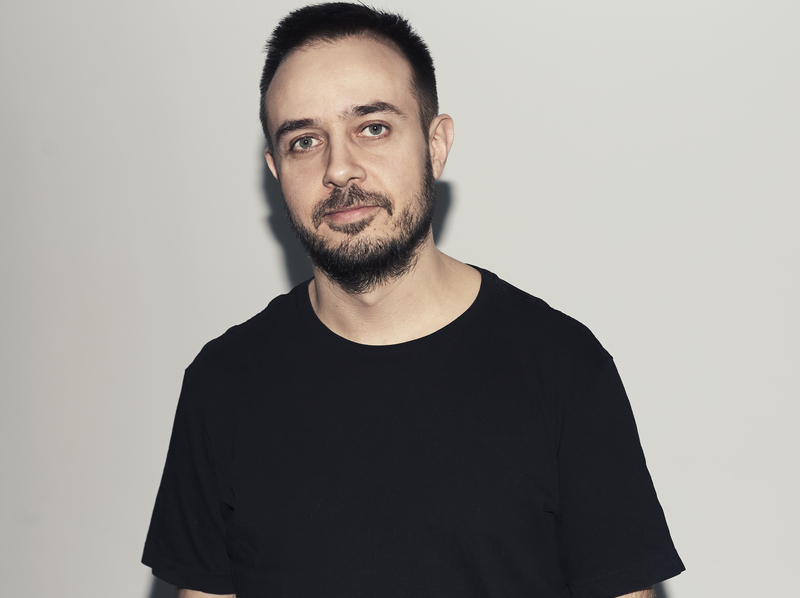 This, matched with selected releases and remixes on labels including Rekids, Desolat, Cadenza, Cabin Fever, Freerange and Supplement facts have solidified Alexkid’s reputation in every corner of the world. Stripped back, dubby and a sometimes borderline obscure, Alex constructs atmospheric narratives – maneouvering just as easily through a live set-up as a vinyl session. 2014 adds another chapter to Alexkid’s repertoire, with the inception of his new vinyl-only label Wu- Dubs. Presenting an expressive platform for his own music, as well as music of his friends, the focus lies on unearthing timeless pieces of music. Coupled with a series of label showcases at the Rex aptly titled ‘Deja-Wu’, whilst building the backbone of his own new artist platform, and with releases on Jus- Ed’s Underground Quality, Fuse and Ovum on the way, Alex is paving a new path for himself.